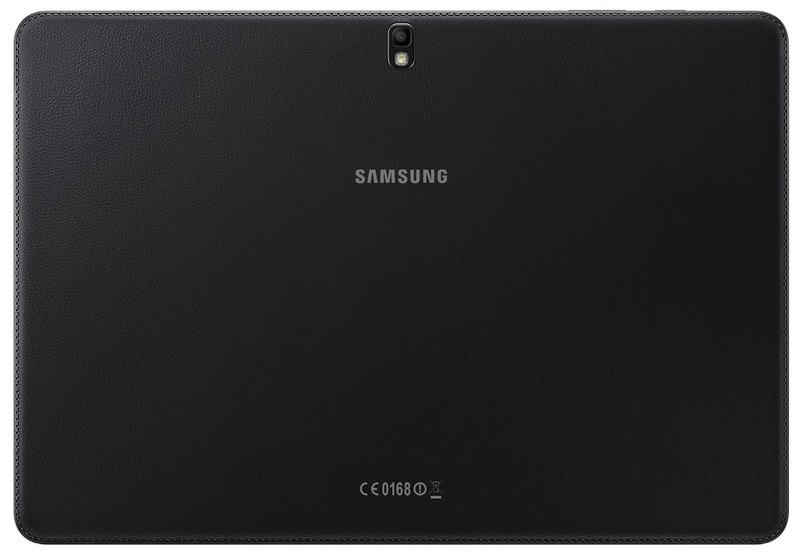 Among the tech giants who have unveiled their newest toy at CES 2014, Samsung has announced the release of four new tablets - The Galaxy Note Pro and a line up of three Galaxy Tab Pros. Like all of Samsung's new tablets, they are running the latest version of Android 4.4 with some iteration of their TouchWIZ software. Following Samsung tradition, only the Note Pro 12.2 offers the S Pen functionality found on other Note devices such as the Note 3 and Note 10.1. The Galaxy Tab Pro will come in 3 different sizes similar to the older models - 8.4 inch, 10.1 inch, and 12.2 inches. The tablets try to promote multitasking more than content consumption, as well as productivity on the go, although the 12.2 inch tablets might not be leaving the house a whole lot. We'll start off with the king of the crop, the Galaxy Note Pro. The 12.2 inch tablet features a whopping screen resolution of 2560x1600 pixels and a pixel density of 247ppi, Making apps look crisp and bright on the screen. The tablet is powered by the new Exynos 5 Octa processor - the same one found in the Note 3 - for the WiFi only model and a Snapdragon 800 SoC for the LTE model. All four models come with 3 GB of RAM, 32-64 GB of internal flash storage, an 8 MP rear facing camera, 2 MP front facing camera, WiFi a/b/g/n/ac with MIMO support, USB 3.0 and Bluetooth 4.0 LE. The Note Pro 12.2 features a new interface named Magazine UX which divides the home screen into separate panels for work, personal, and social use. It looks like Samsung is taking a different approach to their home screen design and went away from the traditional icons. The Pro line of tablets has improved on their multitasking abilities partially due to the beefier specs. Instead of having 2 apps open at once, you can now have 4 separate apps open at the same time. Although there are some limitations of being able to drag and drop content from one app to another due to the largely open source community and how the apps are all written differently. Samsung has worked with certain app developers to ensure text and photo sharing works with all the apps, similar to how text sharing works between a Mac and a PC. The multi-window function has not changed greatly but there has been an addition of a right hand multi-window taskbar. Like all Note devices, the Note Pro 12.2 has the S Pen included can be used for the usual sketching, writing, and doodling. The device comes with a number of "premium" apps which will take advantage of the Wacom based functionality. For the Galaxy Tab Pro line of tablets, they will come similarly spec'd to the Galaxy Note Pro but lack the S Pen functionality and the "premium" apps. The three tablets have the same 2560x1600 resolution so the screen should look even better on the smaller tablets. Unlike the Note Pro and the 12.2 inch model of the Tab Pro, the 8.4 and 10.1 inch model will unfortunately only come with 2 GB of RAM instead of 3 GB. All Pro line tablets will include Cisco WebEx Meetings, which an industry leading web conferencing solution that may be beneficial to corporate users, or people who plan to use the Pro line of tablets as a company device. Like most Samsung devices, it also come with Samsung Knox which securely separates the device into a section for daily use, and a secure section for work. Samsung has also bundled a "Ultimate user content gift package" consisting of a free subscription to news and cloud storage including: Bitcasa, Bloomberg Businessweek＋, Blurb, Cisco WebEx Meetings, Dropbox, Easilydo Pro for Tablet, Evernote, Hancom Office for Android, LinkedIn, LIVESPORT.TV, NY Times, Oxford Advanced Learner’s A-Z, and Sketchbook Pro (content packages may vary by region). There is no word on when these tablets will arrive in Canada, but they will arrive some time in the first half of this year, and will be available with option accessories such as cases and keyboards.